Your choice of a chiropractor for you and your family is an important decision. A website can't convey everything there is to know about our chiropractic office and the unique approach to health restoration and maintenance that we recommend. You should have the opportunity to discover if our practice is right for you. You should be able to make this decision without any pressure, gimmicks, or financial liability. 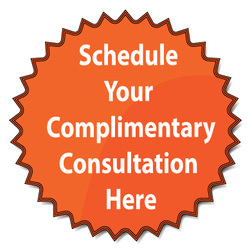 At your complimentary consultation, you will sit down for a one-on-one meeting with Dr. Lange. The consultation is more of a friendly conversation rather than an examination. Many healthcare providers (including chiropractors) have you on their table before you can even say "hello." Most people don't buy a car and then read the brochure. 1. we will get to know you and your health concerns. 2. you will get to know us and how we may be able to help you. You're encouraged to bring questions regarding your current health condition as well as any questions or concerns regarding your past or present experiences with chiropractic. We will provide you with an overview of our office and explain how the office of Dr. Lange is quite different from most chiropractic offices. In addition, we will explain our evaluation process and the associated fees upfront. You will know exactly what service we provide and how much it costs. It's important that we are the right fit for you before you invest time, effort, and money. It's your health. There should never be any surprises. If you are a candidate for care and you are comfortable with our office and procedures, you will have the opportunity to proceed with a chiropractic analysis immediately following your consultation. Should we determine our office is not the right fit for you we will recommend the proper specialist to follow up with. Once again, there is no charge for our consultation and you will never be pressured to start a program of care. Fill out the form below or call us at: 843-236-4400.